The terremoto [ earthquake ] that has just been devastating Amatrice make us feel like we are not able to escape from the same destructive patterns experienced in the past – what ever we creating them or nature is undertaking them – [as we are part of nature, we may as well conveniently blame nature solely.] Still, regardless who takes the blame it amounts to the same destruction, death and tears…feeling endlessly powerless, being trapped or witnessing it. 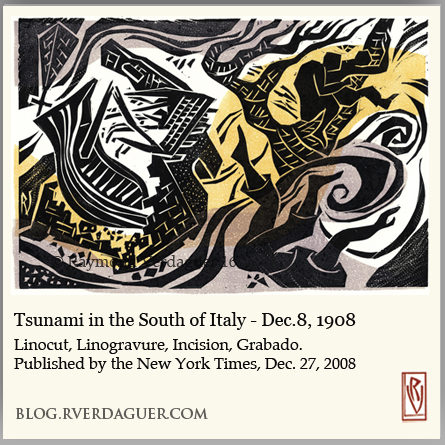 In Dec. 27, 2008 The New York Times commissioned me to illustrate a story of a “natural” disaster that took place in the South of Italy in 1908.